Armored Berserk- Skull Helmet Version (Iron Rust Version)*with red crystal eye parts present!!! Limited Manufacture to 10 pcs only!!! We will offer 1,000 points present to the customers settling the full payment until August 23rd!!! Few pcs remaining in stock!! !Please hurry up!! Please kindly understand that we will not attach the red crystal eye parts in the eyeball of the Armored Berserk. However, we will send the crystal eye parts. This dark rusty color version is an image of the Eclipse. 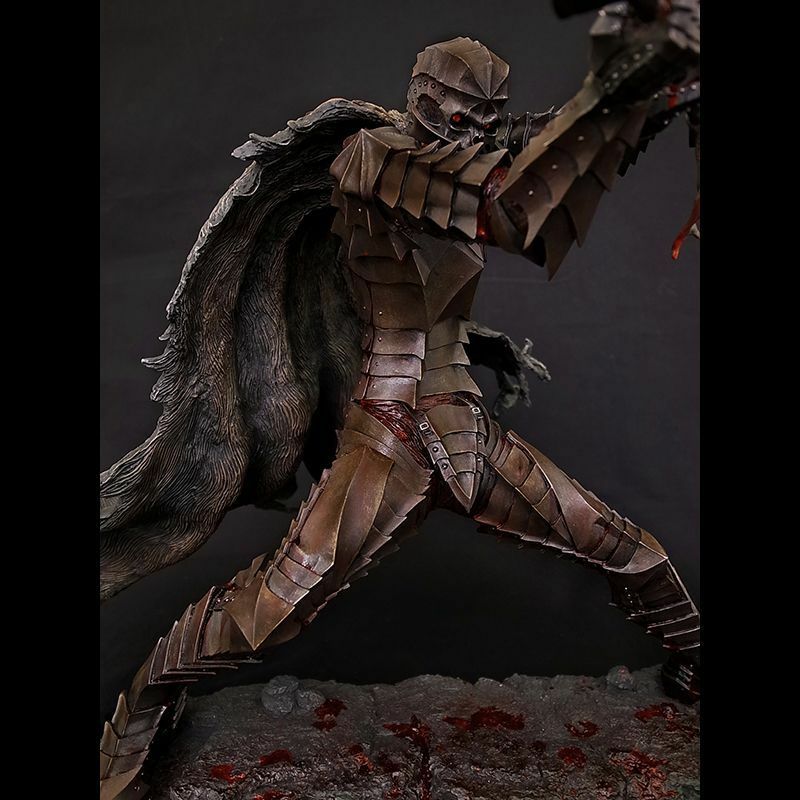 ● The Armored Berserk – in dark red tone for the first time! This time, the armor of the berserk is painted in a dark red tone--"Iron Rust" Image. The rusty repainting has completely changed the image of the product. ● Dark tones express the intricate the iron look. Red colors are used boldly this time including on every parts of the armor. All the details of the statue, including the rusty look, the skull's head, and the armor are hand polished by our skillful artisans in Japan. The photographs are only able to depict in a small way the real beauty of the actual product. The whole items express comparative images of Armored Berserk, which persists top quality of statue of ART OF WAR. exactly. AoW has lost all its appeal for those cheap dishonest marketing tactics. Things which were supposed to feel unique, now feel rehashed, and it makes us collectors feel disrespected. At least now we have more options for great and affordable berserk collectibles.